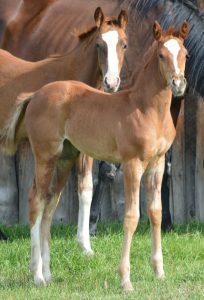 We are pleased to announce two exceptional foals. 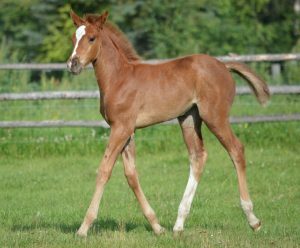 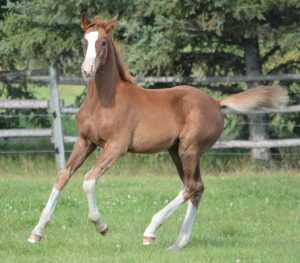 Bonne Fete by Beau Soleil out of the Londonderry mare Long Came a Spyder, and Monami by Mr. A out of the Flemmingh daughter Flambiance, both of these foals should have exceptional dressage or hunter potential and we welcome inquiries regarding their purchase. 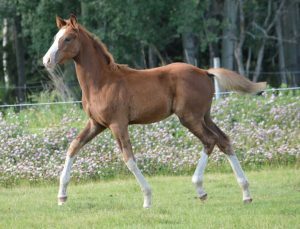 Monami chestnut colt born April 28, 2016 by Mr A (Matcho A) out of Flamabiance (Flemmingh). 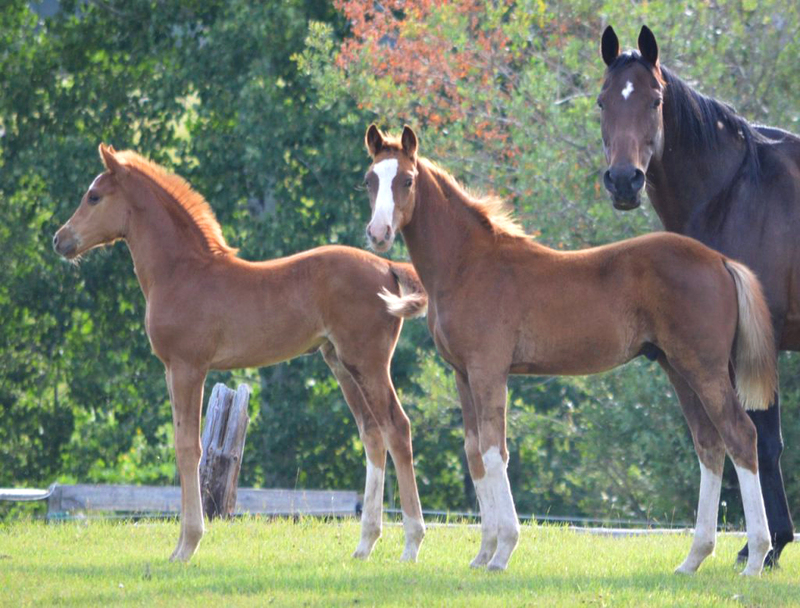 These foals have had a good summer and grew up very well. 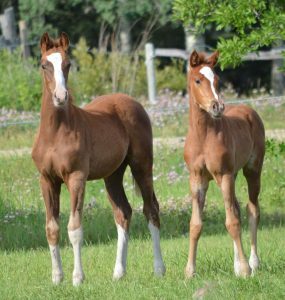 Both have exceptional dispositions and are ready for new homes. 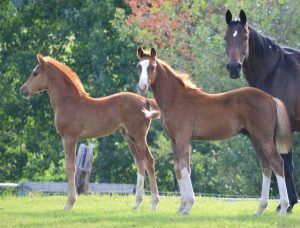 For more information on how to purchase a Touchstone foal, please contact us.